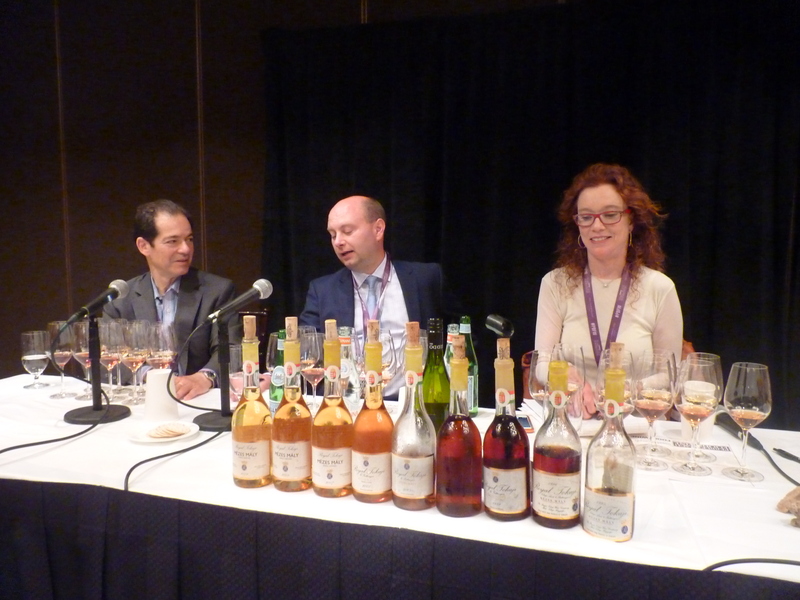 Royal Tokaji wine tasting with panelists: Legendary Larry Stone, MS, Charlie Mount of Royal Tokaji, Karen MacNeil of The Wine Bible, Carlton McCoy, MS of The Little Nell, and Royal Tokaji Co-founder Ben Howkins. 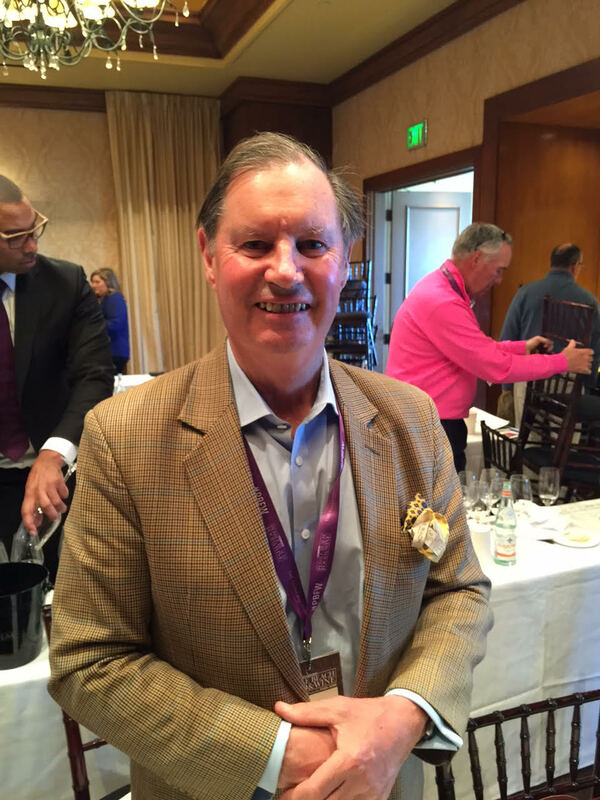 I was honor to be here at the Royal Tokaji tasting with the Co-Founder Ben Howkins himself, and panelists for the top celebrated wine professionals in the world at the beautiful Pebble Beach on a Saturday afternoon. 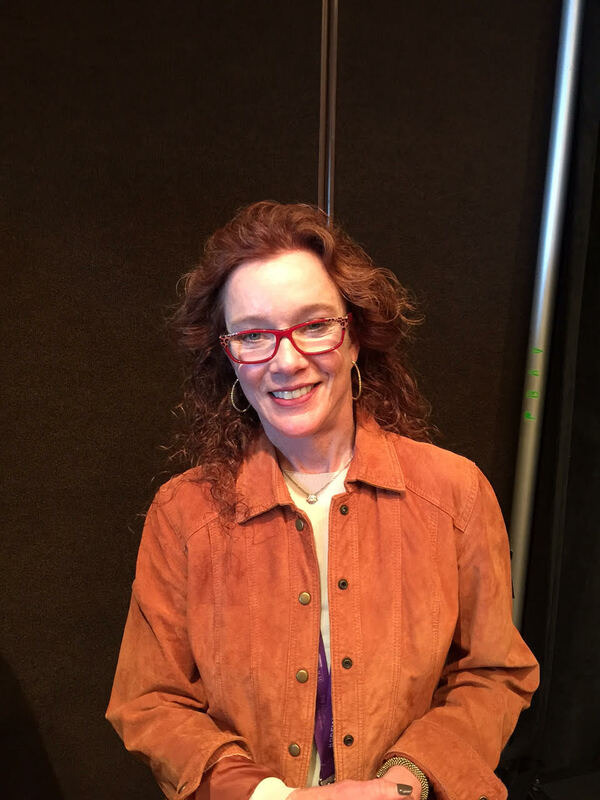 There was absolutely nothing I would rather do more than being there in the great company of other wine professionals and Royal Tokaji fans alike, there was about 30 of us here. 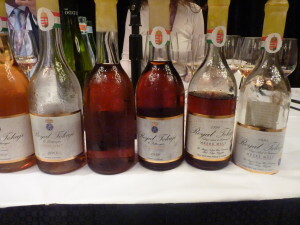 I got to drink Royal Tokaji Mézes Mály of every single vintage was ever produced, except the 1993 vintage when Royal Tokaji was founded, 1995, 1996, 1999, 2000, 2003, 2005, 2007, 2008, and 2009. “We had one tasting like this since Royal Tokaji was founded since 1993, so this is only our second time. This amazing line up of First Growth tasting will never happen again.” Charlie Mount said. I thought I should savor to the very last drop of this delicious sweet wine, or I can just stare at it with my camera so that moment would last longer. 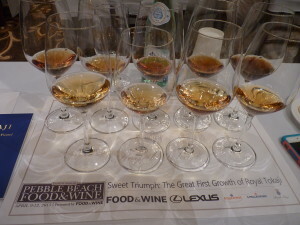 History was made at Pebble Beach Food & Wine this year and I was there. After an hour and 15 minutes of educational, informative and enjoyable to walk through one of the world’s most royal and historic wine regions, and most notably, the world’s first-recorded first growth vineyard – Mézes Mály in Tokaj. 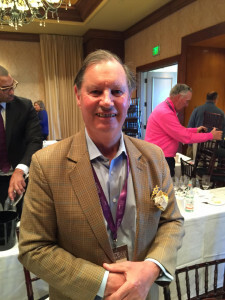 “Think of Champagne, Madeira, and here we have Royal Tokaji , the reason we’re all here now because we want to preserve the legacy of Royal Tokaji .” said Larry Stone, MS. Wines from Tokaj region in Northeast Hungary, located 240 kilometers Northeast of Budapest in the Zemplén Mountains, have been considered the world’s finest since 17th century. 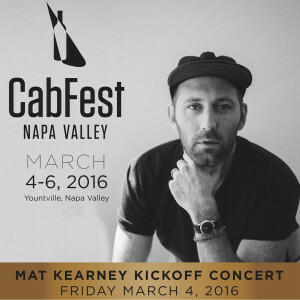 These outstanding wines deliver concentrated orange and honeyed sweetness, combined with steely minerality and astonishing clean acidity, and they will continue to develop and evolve for decades to come. 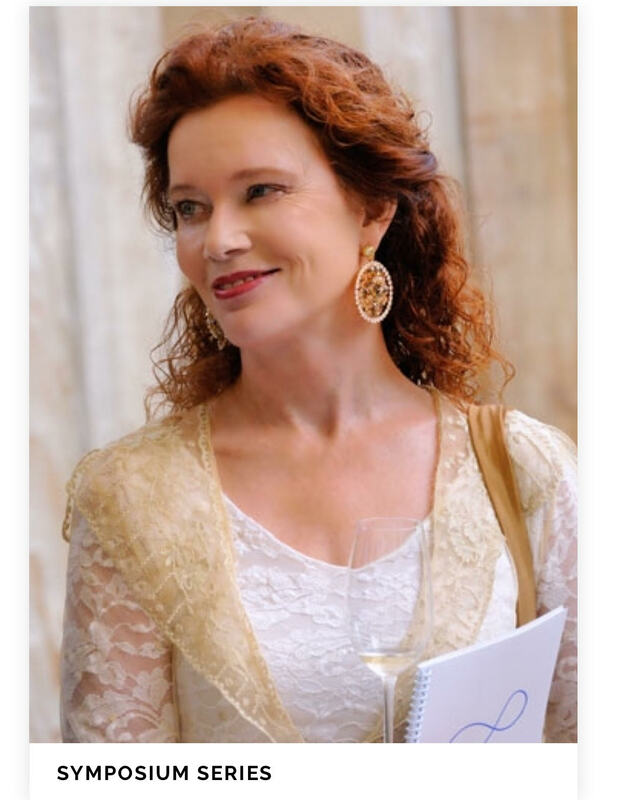 “Royal Tokaji was founded in 1990 by well-known author Hugh Johnson and a small group of investors who were inspired after the fall of Communism to restore and preserve Hungary’s precious wine legacy, to craft and age these exceptional Aszú wines. 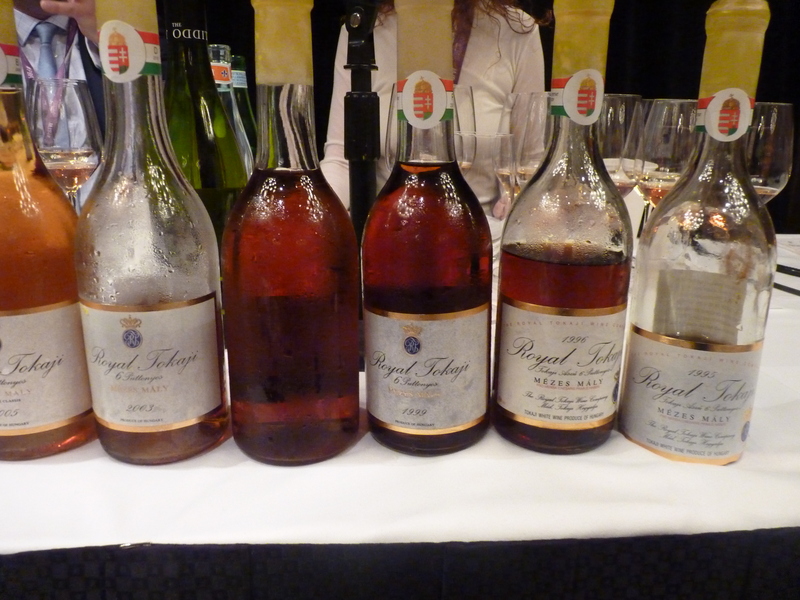 Royal Tokaji ’s first growth single-vineyards (and great-first-growth Mézes Mály) have always been privately owned. Betsek and Szr. Tamás were owned by Prince Rakoczi I and Prince Rakoczi II.” Charlie Mount continued to explain to us about the wonderful history of this wine and the story of Royal Tokaji. I was simply amazed. In Tokaj, the volcanic soil, climate, indigenous grape varieties, indigenous yeasts ad deep underground cellars, combined with the genius and traditions of their Magyar creators, have withstood 400 years of change. 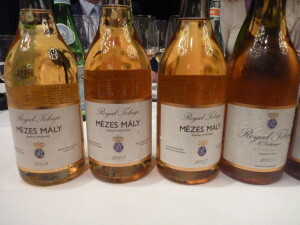 Royal Tokaji owns more than half of Mézes Mály meaning honeycomb), one of only two vineyards in all of Tokaj to be named as a great first growth in the classification of 1700. It has been referred to as “to be the first choice as the royal table,” an honorable distinction like Chateau d’Yquem in Bordeaux. 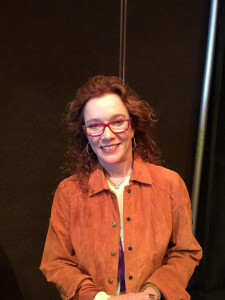 Karen MacNeil of The Wine Bible, 2nd edition is available everywhere in October 2015, was a great commentator, she was engaged with other panelists to have them describe the tasting notes for the audience throughout the tasting. After an hour or so of tasting and indulging one of the finest wines in the world, I got to talk with Co-Founder and Director at Royal Tokaji Ben Howkins about the legendary Essencia, which I got to taste a spoon of it at the 3 Michelin Star Saison Restaurant in San Francisco, thank you to the introduction of this royal wine by Master Sommelier Mark Bright two years ago. I had the 5 and 6 Puttonyos Aszú many times before but this was the first time I got to try the Essencia. 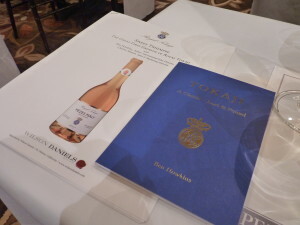 I wasn’t sure what to expect then, but ever since that experience, I became a fan of Royal Tokaji. 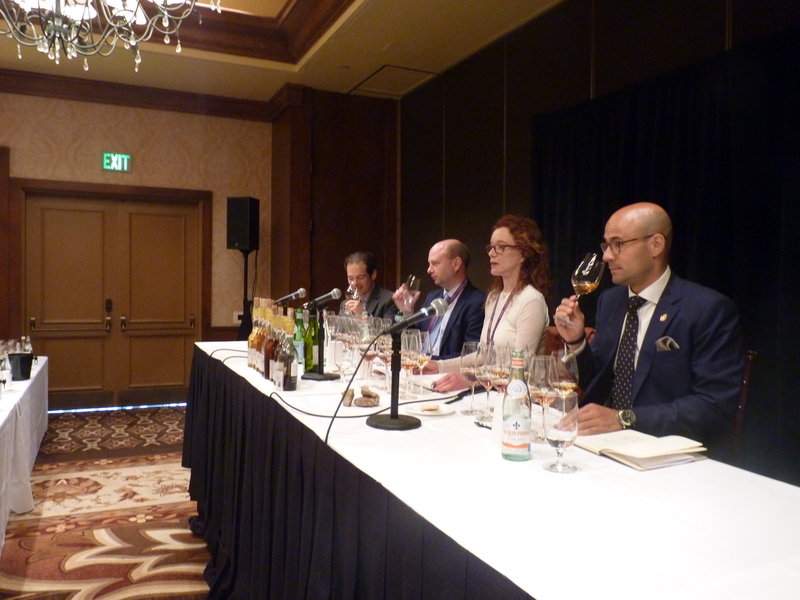 “The legendary Essencia, produced in exceptional vintages, is wowing collectors and diners alike, especially when it is served in crystal or porcelain spoon.” Ben Howkins added. “It took about 200 lbs of grape to produce a bottle of Essencia, so approximately 8 lbs of grape over 7 years, to get 1 spoon of the Essencia. The 2003 Essencia is offered in a beautifully designed brass-hinged wooden boxed carved from Hungarian oak, lined with silk and containing the crystal spoon for sipping. The spoon was designed exclusively for Royal Tokaji, enabling 25 sips per bottle. 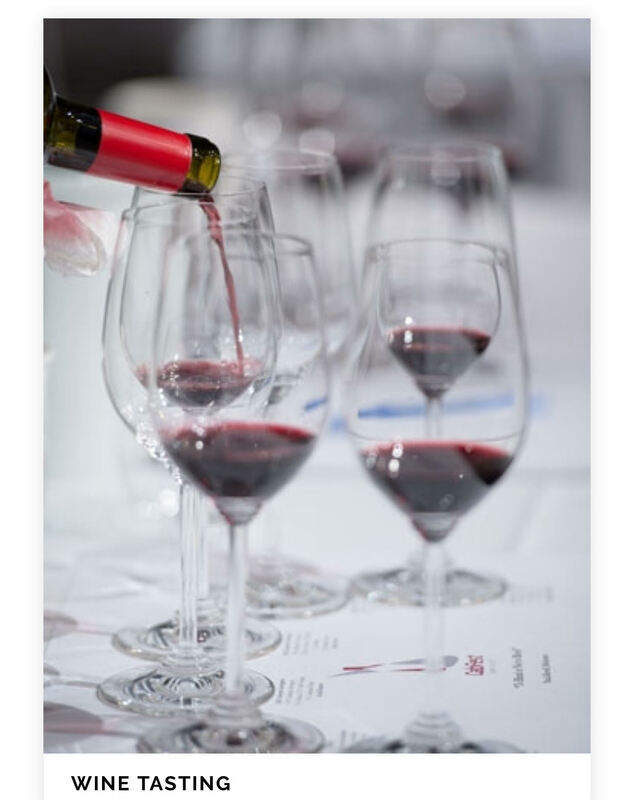 Essencia is an immortal wine and may last for 200 years.” Charlie Mount added on his last note. 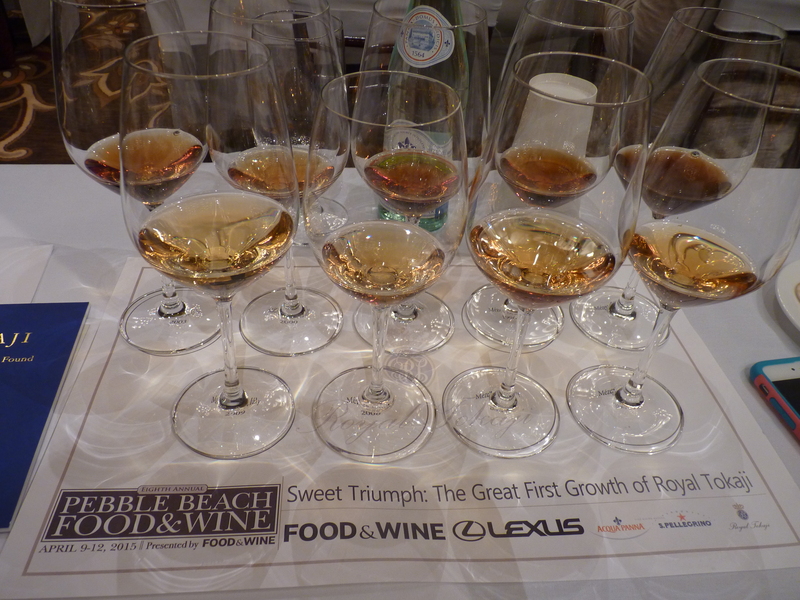 It was an incredible one in a life time experience of this tasting with Royal Tokaji. 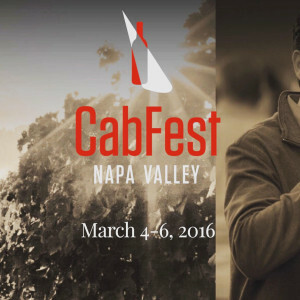 I’m humbled by the experience and broaden my knowledge of this royal wine. After the nine first growth vintages of Mézes Mály, with so many tasting notes for me to go back and remember what it was like when I first smell the aroma of each vintage. It’s something that I will never forget, and something I will pass on to my colleagues, my clients, those that will not have this chance ever again in the history of Royal Tokaji tasting. So if you love Foie Gras as much as I do, ask your sommelier for a pour of Royal Tokaji with the dish, or if you lover cigars, fruit tarts, chocolate desserts, and cheeses, this royal wine can be your newest companion. 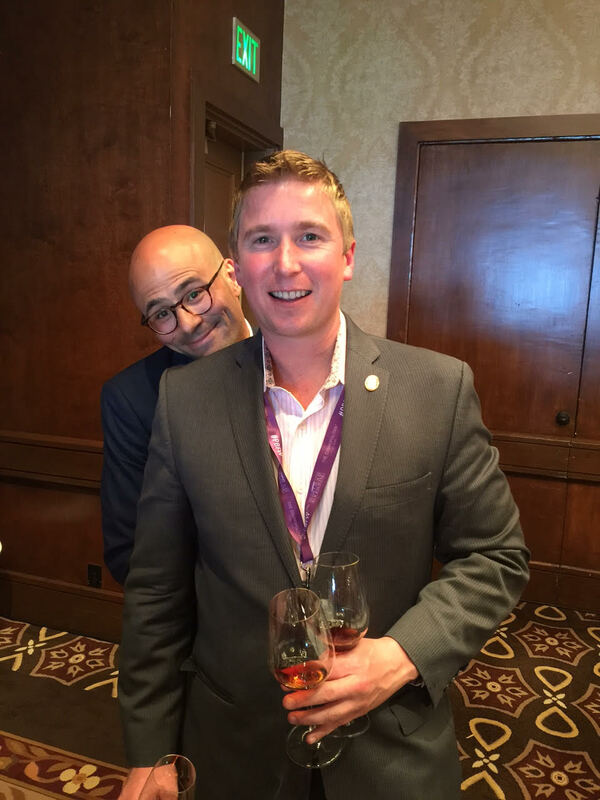 Don’t forget to tweet or Instagram me your photo, I would love to hear from you, and I hope your experience with Royal Tokaji will be as good as I have.